Love Wins #LBGT Heart Shirt. Support Gay Rights. This shirt is printed on 65% polyester 35% cotton using a dye process. This is the softest print available because we dye the shirt threads with the graphic. 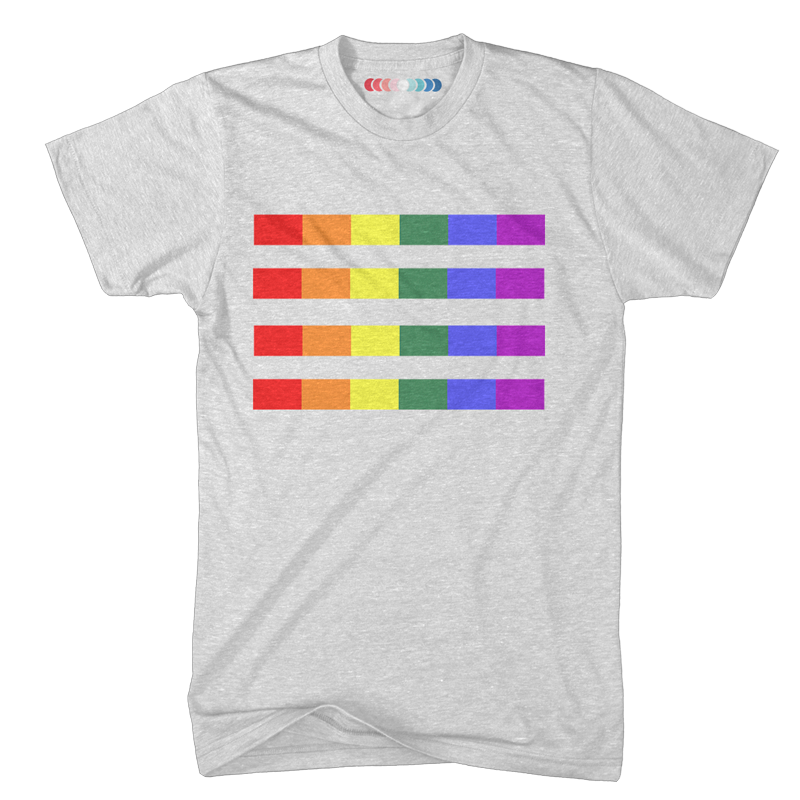 Love Wins #LBGT Stripe Pride Shirt. Support Gay Rights. This shirt is printed on 65% polyester 35% cotton using a dye process. This is the softest print available because we dye the shirt threads with the graphic.